The party has already declared two candidates in Uttrakhand and one from Andman and Nicobar. The Samajwadi Party (SP) Friday replaced its two Lok Sabha candidates and also announced six candidates in Karnataka, three in West Bengal, one in Rajasthan and four in Madhya Pradesh. SP’s national general secretary Ramgopal Yadav informed that candidate from Agra Sarika Baghel has been replaced by Maharaj Singh Dhangar. Sarika’s husband Devendra Baghel has also been expelled from the party on charges of indiscipline. Devendra had earlier openly blamed SP’s city president Wajid Nisar and national general secretary Ramji Lal Suman for not supporting his wife. 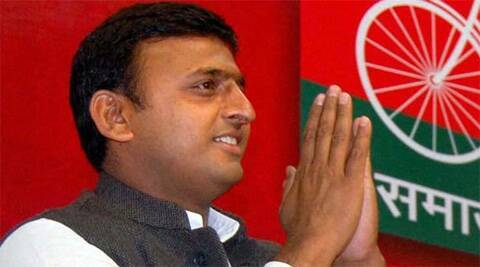 It is alleged that Devendra also targeted SP chief Mulayam Singh for not taking action. Another change has been effected in Pratapgarh seat where C N Singh has been replaced by Pramod Patel, the son of former MP Jang Bahadur Patel, who had represented Phoolpur constituency in 1996 and 1998 as SP candidate. Jang Bahadur has also served as state president of Bahujan Samaj Party in 1993. Meanwhile, SP announced six candidates from Karnataka, the most notable being D N Nijalingappa from Chitradurga seat. Other candidates include Pratap Rao Patil from Chikkodi, K M Rangnath Reddy from Koppal, V Muniswamy from Kolar, Sunil Kumar R from Chikballapur and Ravi Kumar T Yadav from Banglore South. The three candidates from West Bengal include Sudeep Ranjan Sen from Raiganj, Prashant Rai from Birbhum and Milan Das from Malda North. Sen has been the largest donor to the SP for the past two years. In Madhya Pradesh, Dr Amrish Kumari has been fielded from Tikamgarh, Kankar Mujare from Balaghat, Rajendra Singh Yadav from Guna and Subhash Shukla from Chindwara. SP has fielded Kanwar Rabbani Chaichi from Tonk Sawai Madhopur seat in Rajasthan. SP also announced Manisha Deepak as its candidate for assembly bypoll from Unnao which is vacant due to the death of Manisha’s husband and SP legislator Deepak Kumar.